Martin J. Meng was educated at the High School of the Arts in his native town Amsterdam, by a.o. professor Heinz Manniegel. His career as a dancer (Dutch National Ballet, Amsterdam/The National Ballet of Canada, Toronto/Deutsche Oper Berlin) as well as numerous courses, like taking part in classes with the Kirov Ballet gave Mr. Meng many opportunities to learn from some of the best teachers: most notably the Russian Vaganova School from Vladilen Semionov, Irina Kolpakova, Yevgeny Neff, Gennady Selyutski (Kirov Ballet), Mikhail Lavrovsky (Bolshoi Ballet), Prof. Mikhail Gawrikow and the neoclassical energetic style of George Balanchine with John Clifford, Suzanne Farrell, Susan Hendl (New York City Ballet), Reuven Vooremberg (Het Nationale Ballet, Amsterdam) and Brigitte Thom (Deutsche Oper Berlin). Also the Bournonville School (Hans Brenaa, Eva Kloborg, Peter Schaufuss) is yet another form of classical dance that Mr. Meng has been exposed to. Martin J. Meng started his career as a ballet master at the “Grand Theatre” (Teatr Wielki), Warsaw, where besides teaching daily company classes, he was coaching all leading roles in the classical repertoire (ballets like, for example, Konstantin Sergeyevs production of “Swan Lake”, or Sir Frederick Ashtons “La Fille mal Gardée”). After he continued to work as a guest-teacher with companies like the Royal Swedish Ballet, the Finnish National Ballet (coaching the leading roles in Rudolf Nureyevs “Nutcracker”) as well as modern companies like the Choreographic Theatre of Johann Kresnik at the Berliner Volksbühne or Jazz-Art Berlin. Martin J. Meng has taught every level of classical ballet, from beginners, professional students up to international stars like Irma Nioradze, Andrei Jakovlev (Kirov Ballet), Maria Bylova, Yuri Vasuchenko (Bolshoi Ballet), Irek Mukhamedov (Royal Ballet), Anneli Alhanko, Anders Nordström (Royal Swedish Ballet), Mats and Niklas Ek, Ana Laguna (Cullberg Ballet). In recent years Martin focused more on teaching at academic schools and was thus invited as a guest-pedagogue by i.a. the National Ballet Academy Amsterdam, the Royal Conservatory The Hague, (where he also prepared the exam of the graduation class), the Tai Pei National University of the Arts, the Thelma Yellin University of the Arts Tel Aviv or the Netherlands Dance Theatre (Educational Department). Besides that he specializes on single-classes at any level. Vaganova School St. Petersburg; Bolshoi Academy Moscow; Hungarian State Ballet School Budapest; Kirov Academy Washington; Koninklijke Balletschool Antwerpen (Royal Balletschool Antwerpen); Netherlands Dance Theatre Summercourse; Academy of Dance at the State High School of the Arts Mannheim; Conservatory Vienna; Escuela Victor Ullate Madrid; Ellison Ballet New York; Centre of Contemporary Dance Highschool Cologne. For the Summercourse of „Lines“ San Fancisco, a Scholarship was awarded to a student of Martin, another student of Martin received a scholarship from Alvin Ailey, 3 students Martin recently discovered in one of his summercourses were sent by him to Jean-Yves Esquerre’s Dutch National Trainee Program, all 3 were awarded with scholarships! Martins recent summer workshops were visited by students of the following schools: National Ballet Academy Amsterdam; Royal Ballet School London; Royal Conservatory The Hague; Royal Ballet School Antwerpen (Belgium), English National Ballet School. 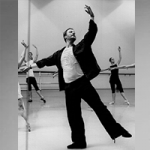 Next to teaching classical ballet, Martin is highly estimated as a Personal Trainer!